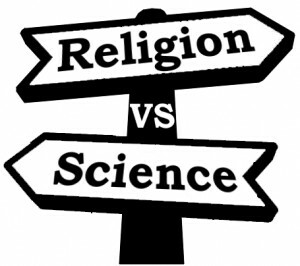 Tiger Philosophy 168: Religion is not substitute of science and visa versa! There is a struggle waging between religion and science. Both parties are convinced of their stand point in what is important in life. What I find most disturbing is the effort which is put in to disapproving each other with cunning arguments and weak facts. In religious circle there is a trend to validate religion by scientific studies. It feels like religion has to find shelter under the umbrella of science to feel congruent with what religion is preaching. I find religion such an immense entity that no science need or can shelter it. Yet in every religion there are very intelligent spokesman to defend the religion from “outsiders”. These people have extra ordinary knowledge, intelligence and power of persuasion. Spokesman can be important to clarify difficulties in misinterpretations and misunderstandings. There explanation most of the time do not add anything to the real message. The scary part is how they can twist and bend arguments to win their case. They have become so efficient in persuading us even before we had the chance to think about what is said. My personal philosophy is that there are somethings which other people needs to teach us and there are some teachings which come from within. I need to learn mathematics from somebody but I do not need to learn how to love, that is inside me. Religion I hold also at that highest state where everything I need to understand is in me, nobody else need to explain anything to me. The statements which are being made, that all the answer to science are hidden in the religious books, we just need to decode them and unlock the answers. This is what I mean by misleading arguments, we cannot deny them, because then we become sinners. If we accept them then we are not true to our self. So what about the scientific community, what are they doing? Scientific community has an arrogance of knowing. For them everything is crystal clear it is just others can’t see it yet. We feel this relationship with the one that is there. Science may prove it by evolution theory or by mathematics what/why/how we feel what we feel about religion. Despite all the explanations and arguments it will not change anything on that matter, because it is knowing from within. Religion is as much part of me as I am to myself, the one exists for me because I exists.